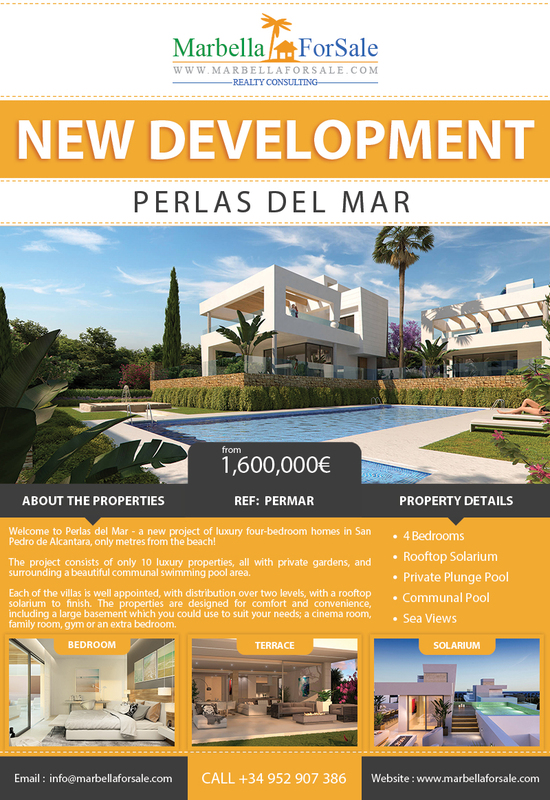 Perlas del Mar consists of only 10 luxury properties, all with private gardens, and surrounding a beautiful communal swimming pool area. Each of the villas is well appointed, with distribution over two levels, with a rooftop solarium to finish. The properties are designed for comfort and convenience, including a large basement which you could use to suit your needs; a cinema room, family room, gym or an extra bedroom.